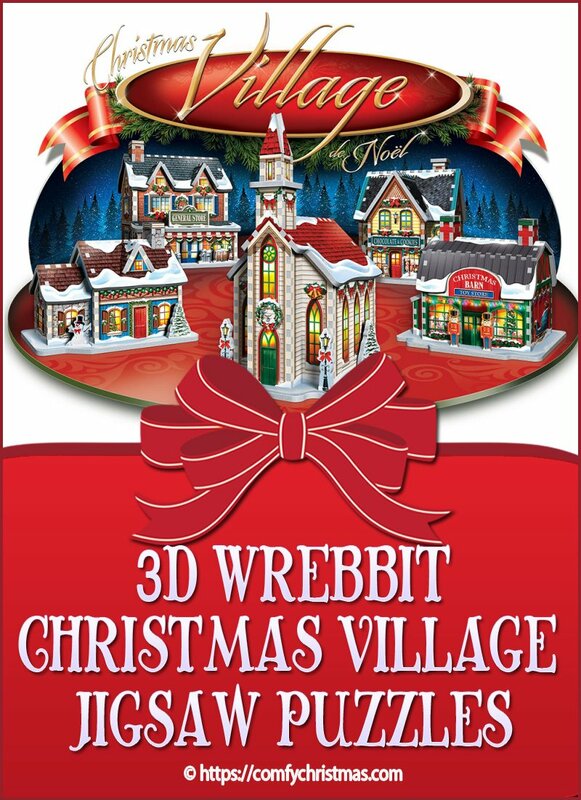 This 3D Wrebbit Christmas Village Jigsaw Puzzle would add to your Christmas Decor along with having lots of fun putting these 3D puzzles together! 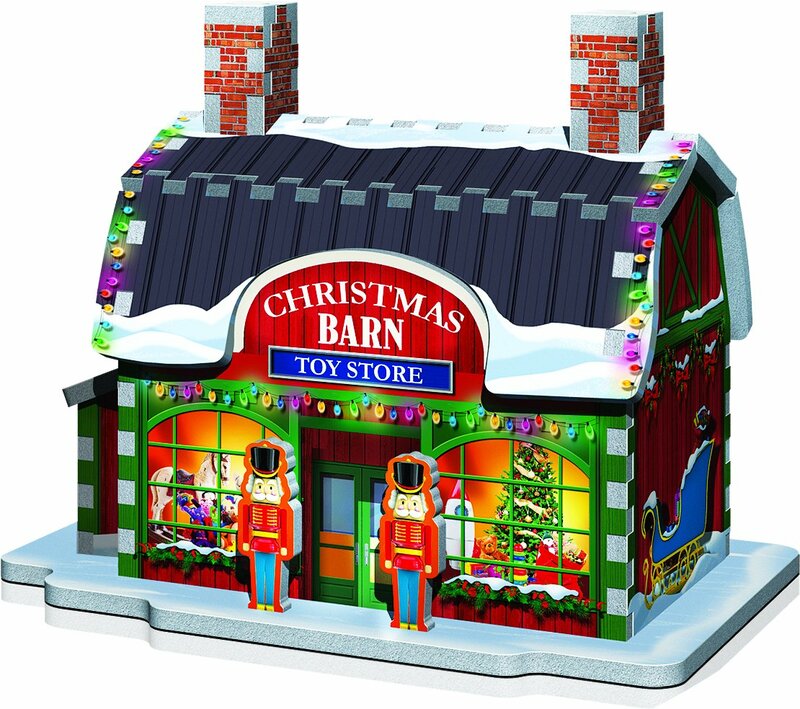 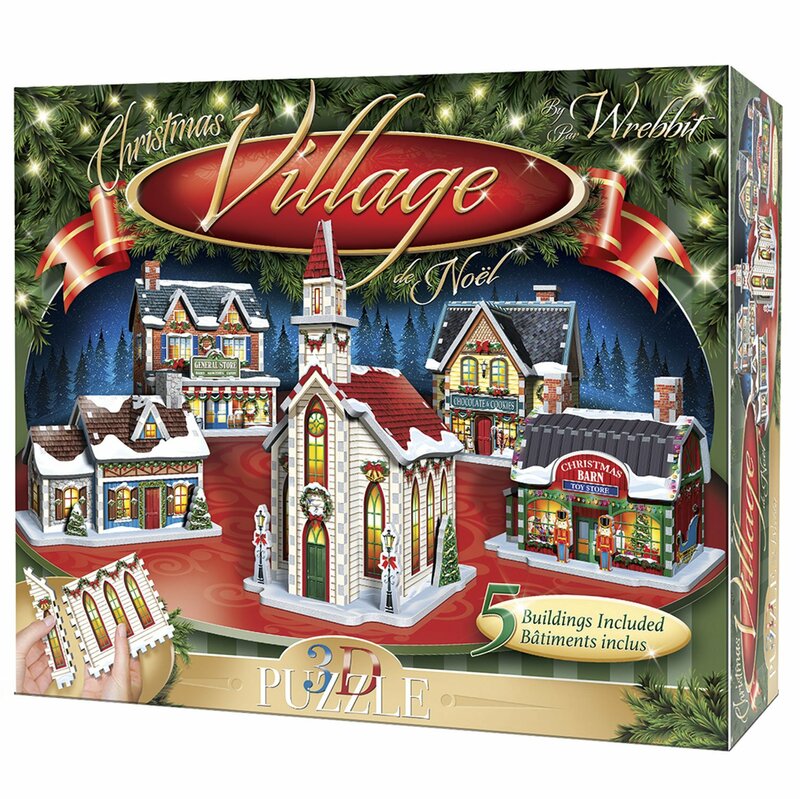 This 3D Wrebbit Christmas Village Jigsaw Puzzle comes with 5 separate individual buildings for you to assemble. 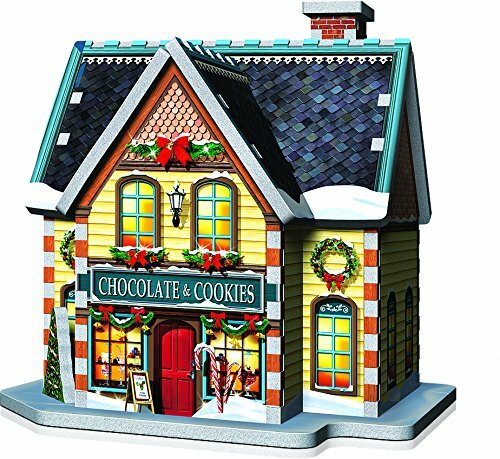 This little 3D Village Jigsaw Puzzle would be an ideal addition to your Christmas Decor. 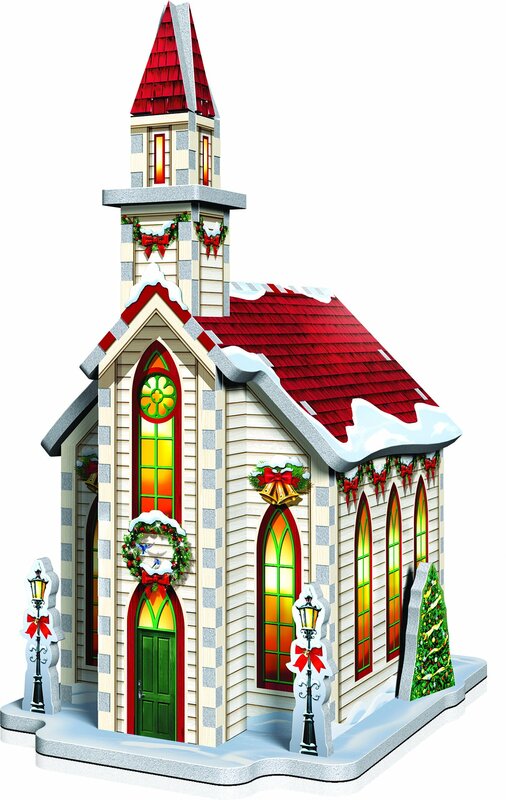 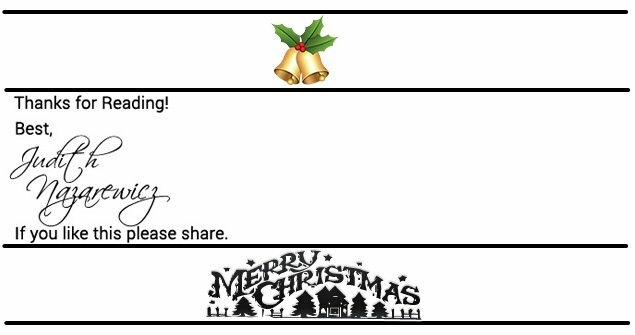 If you love adding Christmas Villages to your Holiday Decor, this one is not just for display. 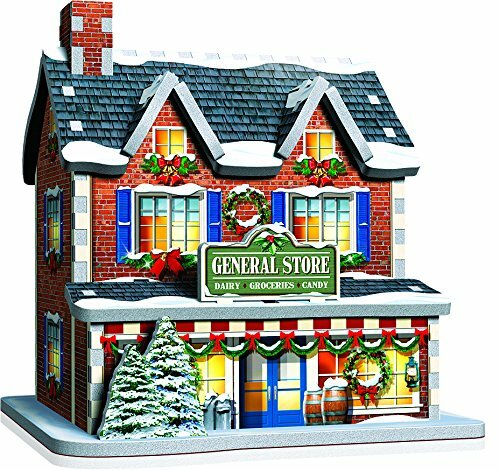 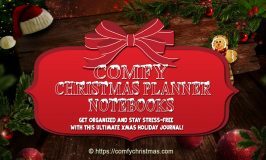 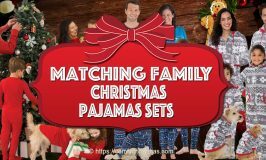 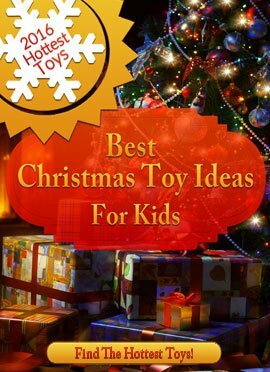 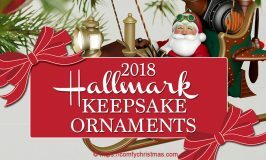 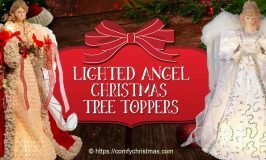 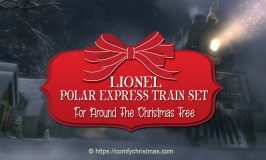 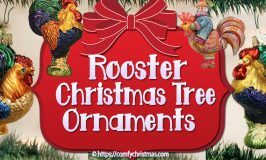 You can have loads of family fun putting it together and once the holiday season is over you easily take your village appart and pack it away in the boxes they came in for your next Christmas display. 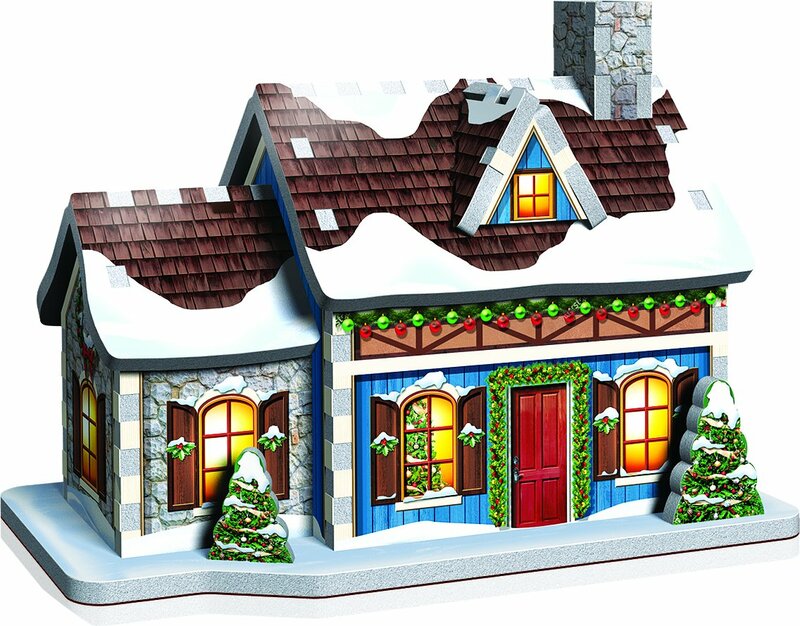 If you keen on setting up a Christmas Train for under the tree, these 3D Wrebbit Christmas Village houses would make a charming addition.